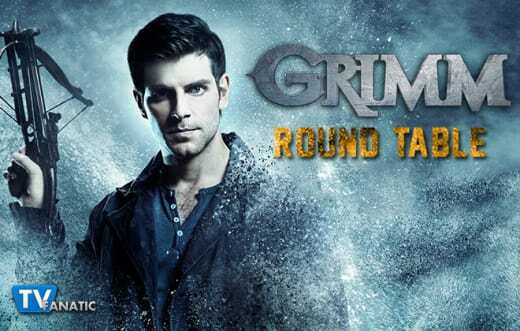 Are you ready to join TV Fanatic Round Table panelists Doug Wolfe, Allison Nichols, Robin Harry and Kathleen Wiedel as they dive into a whole new season of monsters and mayhem with Grimm Season 5! 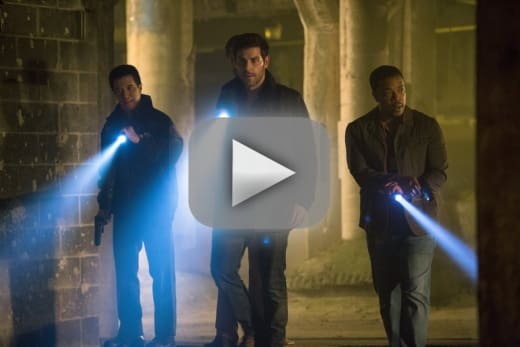 Grimm Season 5 Episode 1 was jam-packed with plot developments, action and revelations. Lives ended, others were changed forever and one tiny baby entered the world. In this Round Table discussion, the panelists cover such questions as the wisdom of trusting Agent Chavez, the future of Nick and Adalind, and Chavez joining forces with Meisner to prepare for the coming war. So! Chavez and Meisner are working together. Thoughts? Doug: It’s starting to get just a little confusing isn’t it? I think the writers are constructing another puzzle for the viewers to put together. Meisner was the Resistance Man (one of them anyway). Now he’s part of this new group? Color me intrigued. Allison: You know, I thought that was him, but it has been so long that I wasn't 100% sure. I'm definitely intrigued by their operation. How long as it been running? There are just so many questions. Robin: I didn't even realize that was Meisner until someone pointed it out. Honestly, I have no idea what on earth is going on anymore. There was so much going on in this episode (too much, if you ask me), that I really can't connect any old dots to new dots. Kathleen: Meisner and Chavez appear to be preparing for some sort of war. I don't think this is necessarily related to the Resistance against the Royals, especially since Renard seems to be just as in the dark as we are. Meisner has always operated pretty independently, and his alliances (such as with the Resistance and with Renard) always seem to be more a matter of pragmatism than shared ideology. I'm admittedly curious how Meisner came to be allied with Chavez. How did these two even cross paths? Who/what do Chavez and Meisner have locked in the cell? Doug: Very good question! At first I thought it was Trubel. It still might be, but the thought occurs that maybe they found a way to resurrect Juliette. Allison: I'm not sure. I wish we saw more of their operation. I figured it might be Trubel, but I also had the same thought that Doug had. Why else would they take Juliette's body? It's like they were the clean up crew, but it wasn't their mess, so why would they clean it up? Robin: My guess was either a Dämonfeuer (hence the whole 'playing with fire' spiel), or a zombified Juliette. I really, really hope it's not Juliette. Kathleen: Like Doug, I initially assumed it was Trubel, given that Chavez and company had just kidnapped her. Maybe they're turning her into a weapon to fight in the upcoming war. Was Nick right to trust Chavez? Doug: Nick didn’t have a choice. I’m not sure I’d call it choice so much as “last hope”. He wanted to find Trubel, and this was the only way he had to do it. Allison: Nick lost two people he loved, Juliette and his mom, one right after the other. Now another person he loves is missing. Nick will do whatever it takes to make sure he doesn't lose another person in his life, and in this case, it meant trusting Chavez. Robin: I may be the lone dissenter on this panel, but I don't think either Nick or any of team Grimm were given any indication or reason to believe that Chavez might be even slightly trustworthy. It worked out – as in Nick wasn't killed – but his trusting her didn't come from any sort of logic. Again, I think that's a result of too much going on in one episode. Had this happened next week, where they had time to develop that a bit more, I would have bought into it. Kathleen: In hindsight, Nick was right to trust Chavez. At the time, it was a big leap of faith that wasn't really justified, especially given that Nick was certain that Chavez was behind Trubel's abduction and the crazy-good clean-up at his home. What are your thoughts on Nick and Adalind's relationship at this point and into the future? Doug: I hate to say it, but I think those two are going to be shipped eventually. He holds marginal hatred for her, and that’s warring with his love for the baby. Fondness is going to spill over and the two will become an item. Though I’d prefer that didn’t happen. If Juliette’s not alive, Nick needs a lot of time to himself before getting involved with anyone else. 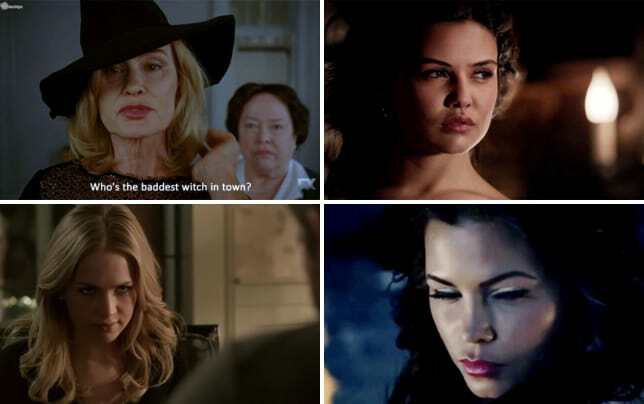 Allison: I still can't decide how I feel about them. The twist that Adalind is pregnant with Nick's child is still just so weird to me. I did enjoy the weirdness of Nick visiting Adalind and their son in the hospital room. It wasn't emotional. It was just strange. As for the future, I don't know if I'll be onboard with Nick and Adalind. It will take serious work. Robin: The only relationship I want Nick to have this season is with a machete. Sadly, it's not up to me, and I figure Nick and Adalind will soon be bonding over the protection of their little HexenGrimm son. Wait... HexenGrimm? ZauberGrimm? GrimmBiest? I can't decide on a portmanteau. Kathleen: I'd feel less unhappy about this relationship if only Adalind hadn't been directly responsible for so much of Nick's grief throughout the series. Add to this the minor little detail of just how baby Kelly came to be conceived, and I can't imagine a believable manner they can be together. Share a scene or quote that stood out positively or negatively to you. Doug: I really hated the “Nick is off his rocker” vibe that went on in the first half of the show. Nick’s about the most dependable guy on the team. Why would any of them doubt him? That didn’t ring true at all. Allison: I loved Monroe going up to Nick in front of Chavez's house trying to get him to open up. Monroe made some good points. Out of anyone in the group, Monroe would be the one who would most likely be on Nick's side no matter what. Robin: I really, really wish Nick had been given some grieving time instead of introducing a new convoluted conspiracy, a new mysterious big bad AND the baby in all at once. On the positive side, I liked that Adalind decided to name their baby Kelly. That was perfect. Kathleen: I liked the scene at the end where Nick visited Adalind and Kelly in the hospital. While initially hesitant (for very good reason), he does begin to bond with the baby. 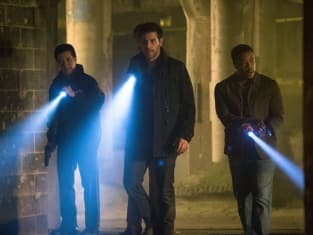 Be sure to tune in and join all the fun when Grimm Season 2 Episode 2 airs on Friday, November 6 at 9 p.m. on NBC!